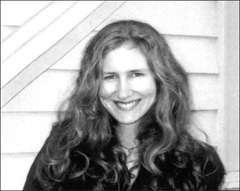 The American poet and translator Donna Stonecipher has published three poetry collections; her awards include inclusion in the National Poetry Series and the Contemporary Poetry Series. Her poems resemble landscapes: natural landscapes that bear witness to human interventions and, above all, urban landscapes as eerily beautiful human constructs. We would love to publsih a poem of Ms. Stonecipher’s — perhaps she would glance at our review. Thanks for your interest! I will tell Donna to check out your journal – it looks very interesting. Her poems and translations from the event will appear in November on http://www.no-mans-land.org, if you’d like to read more.